We haven’t had great weather for strolls amongst the cherry blossoms this week, but maybe we’ll get lucky Saturday and you can go grab some good ‘ole food truck fodder at the Southwest Waterfront Fireworks Festival. The festival, a part of the larger National Cherry Blossom Festival, will host nine food trucks from 1 PM until approximately 8:30 PM, when the fireworks start. 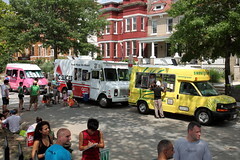 The trucks that will be serving include Red Hook Lobster, Curbside Cupcakes, Fojol Bros., District Taco, Tasty Kabob, Eat Wonky, DC Slices, CapMac and Sidewalk Sweetsations. The festival is free and completely open to the public. Plus there will be live music and loads of “family friendly” activities running from 6th to 9th street. So cross your fingers for some sunshine, grab a wonky dog or kabob and enjoy the fireworks this Saturday. Unless you’ve got tons of free time and an expansive stomach and wallet, there’s just no way to take advantage of every cherry blossom-inspired dish at restaurants around town. So instead, you can sample some of the “Cherry Picks” this week and next at various Capital One Bank locations. From 11:30 AM to 1:30 PM on designated dates, different restaurants will give out complimentary morsels. If you happen to be a Capital One Bank customer, then you get the added bonus of getting a free coffee or dessert when you dine at and pay with your Capital One debit or credit card at participating restaurants. 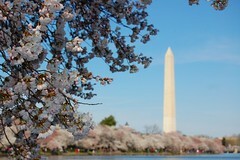 Volunteers are being sought for the 2010 National Cherry Blossom Fesitval. Individuals, local business community service programs, and community service groups are encouraged to participate. Those who volunteer their time will assist in all aspects of the Festival, which runs from Saturday, March 27 through Sunday, April 11. To see what specific opportunities are available, you can download an application from the Festival website or call 202.661.7595. I think we can all agree that one of the reasons “we love DC” is the arrival of spring each year when our city is transformed from a bleak, gray land of zombies into a cheery land of fresh-faced partiers. 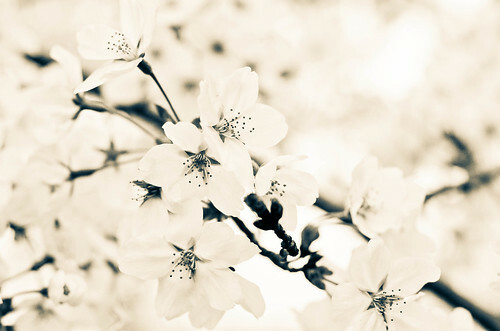 The harsh winter weather is behind us, the cherry blossoms are beginning to bloom, girls swap their jeans for skirts, and it’s time to start planning how you’ll enjoy every waking minute before the sweltering heat invades our city. 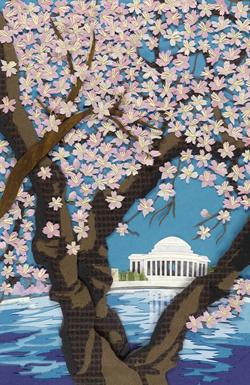 What better way to celebrate the disappearance of winter than checking out the National Cherry Blossom Festival? While it officially started on March 28th, it runs until April 12th and is packed full of fun things to do, ranging from blossom tours to photo safaris to wicked awesome Japanese-themed art fashion anime parties. Say what? That’s right, on Friday the Pink Line Project kicks into gear again to throw a party that is sure to be the highlight of this year’s festival. Enter stage left: Cherry Blast. Fellow Flickrite, LaTur captured this unique photo of Madame Lardofly over the weekend, winning my pick as best National Cherry Blossom Festival photo. I’ve lived in DC for about five years now, and while many area photographers never seem to get tired of taking cherry blossom photos, it has lost its luster with me. That’s why it takes an unusual shot like this one to get my attention, even if I do end up feeling sorry for the pig. I guess life could be worse. After all, she could be sitting next to some eggs and home fries at the Florida Avenue Grill. April 3 through April 9! 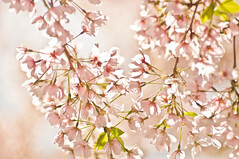 Keep in mind this is when 70 percent of the blossoms of the Yoshino Cherry trees that surround the Tidal Basin are open. Admit it, you all have been waiting for this. (Just like me.) And don’t forget that the actual Festival this year runs from March 28 through April 12, so remember to take lots of photos and drop them into our Flickr pool!